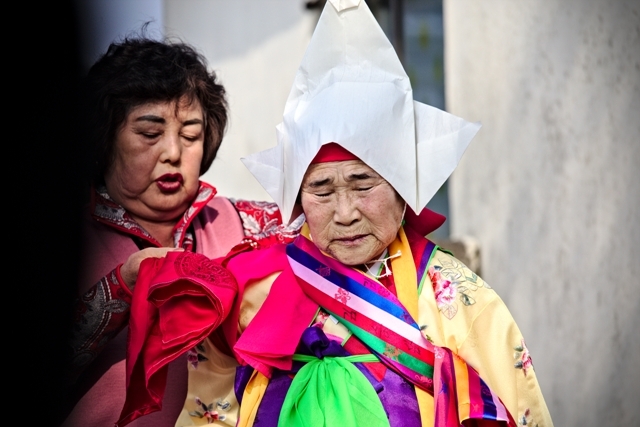 In Jeju, shamanism is mainly practiced by the older residents. The problem is that the myths and stories associated with shamanism are often just passed down through the generations. Without new shamans to take over, what happens to these stories? It is this problem and knowledge of a deep culture that is in danger of slipping away that is driving Joey in his search to help preserve Jeju’s shamanic culture. This is mainly done through his upcoming film, “Spirits: The Story of Jeju Island’s Shamanic Shrines,” although also through his website and a book he released about Jeju’s shrines. When Joey first came to Jeju he had none of these plans. However, after living here since 2005, in 2011 he and three filmmaker friends decided to start making films about legends and ghost stories. Unfortunately, this original plan was soon abandoned. Joey, though, decided to continue on his own and make a film about one of the stories he and his friends were originally going to focus on. This story happened to be about shamanism. To do this properly, he would need to get a first-hand telling of the myths as told by the people of Naedo, the village in which it originated. Initially, he was worried that the villagers either wouldn’t want to or would be unable to talk to him. In fact, a Korean friend who he was planning to visit Naedo with told him that the villagers wouldn’t be able to remember the myths. He explained to Joey that shamanism was something that happened 200 years ago. However, despite this advice, Joey went ahead with his plan and it soon became clear that the reality was hugely different. Wanting to document some of these myths, Joey started to record the stories as told by people he met at the island's various shrines. However, the willingness of people to talk to him soon led to some unexpected, and welcome, problems. What was originally planned to simply be a film, soon grew into an archive with around 12 terabytes of interviews of villagers telling their village’s myths. This is what makes Joey’s work unique. These are the myths that are unique to each village and, as such, are the ones that are most at risk of being lost. This is compounded by the dwindling in the number of shaman on Jeju. The village shaman is the center of each village’s belief system. It is up to this person to perform the ceremonies and, crucially, to remember the myths of each village and pass them on to future shamans. However, Joey explained that nowadays the majority of villages don’t have their own shaman, instead, they hire someone in from outside or have a Buddhist monk take over the proceedings. Another issue that Joey has seen is the disappearance of village shrines. 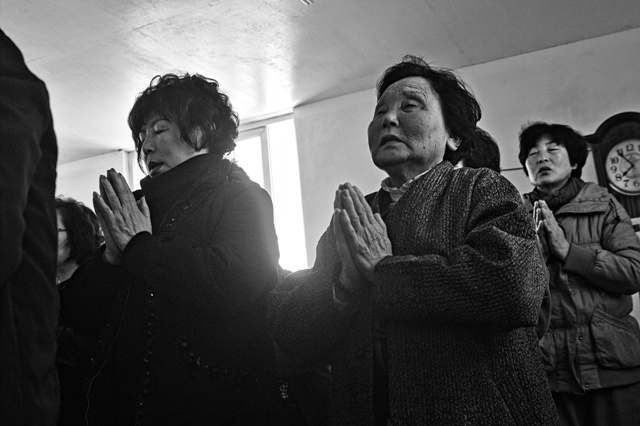 These shrines are where the villagers go to pray. There are currently around 200 of them on the island (around 100 of those have been rebuilt). However, the number is slowly dwindling. In fact, according to Joey, around nine or ten have been destroyed since he started his research. However, Joey has noticed some positives signs during his time researching shamanism on Jeju. He points to a definite increase in the interest people are showing, much of this from an unexpected source, artists from the mainland. 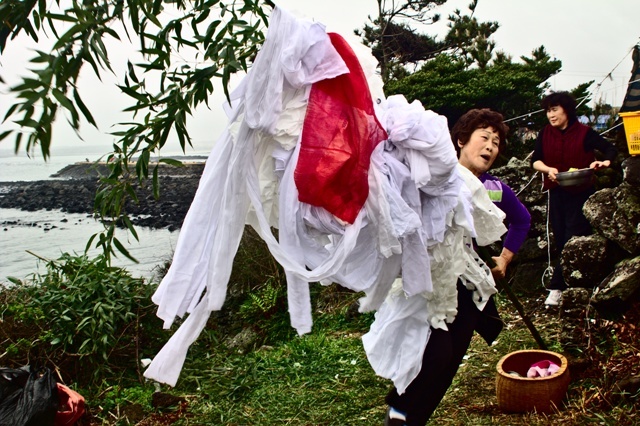 He explains that these artists, who make up a good number of new arrivals to the island, are naturally curious about culture and are keen to use the shamanic culture of Jeju in their work. This has coincided with efforts on behalf of the local government to bring more attention to the culture, as well as the designation of one of Jeju City’s shamanic rituals the “Yeongdeung Gut” as a UNESCO Cultural Heritage of Humanity. Joey himself has finally managed to get through his 12 terabytes of film and his movie is close to completion. He hopes to have it finished soon and have an initial showing in the second half of the year, adding his own input to the attempts to preserve this unique culture. A full-length documentary exploring the culture of Jeju Island shamanism, as well as current issues that affect indigenous communities and their shamanic shrines. Rositano has spent six years surveying, filming and photographing the shamanic culture of the island. Just some of the vast amount of material he has collected is featured in the film, more of which will be featured in a book of essays he will publish through his blog Pagans We Are. 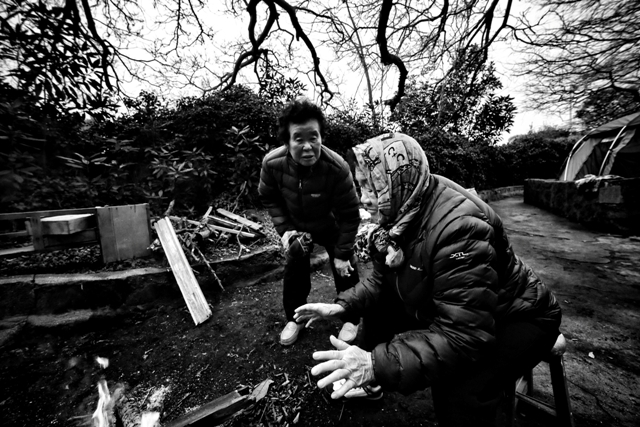 A 200-page photo book exploring many of Jeju Island’s shamanic communities. Available for order on Pagans We Are blog. A website with articles and blog posts on Jeju Island's shamanism and women diver culture amongst other topics.